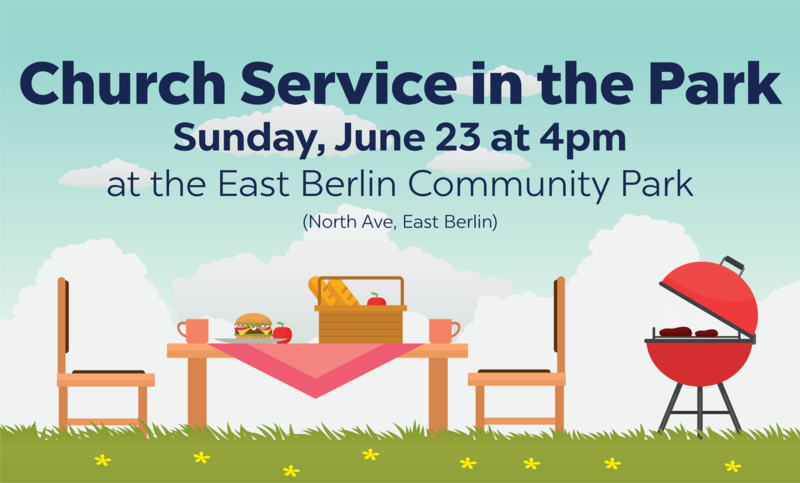 Join New Life Assembly for a church service & potluck picnic (with burgers & hot dogs) at the East Berlin Community Park (North Ave, East Berlin, PA)! We’ll have acoustic worship music, a short message, & a picnic to follow! Please bring a side dish AND a dessert to share.